Please turn with me to Mark 4:26-34. Our gospel lesson this morning speaks about developing umbrella faith. Jesus is speaking about the kingdom of God and how that kingdom grows. It grows with an unwavering faith, a faith that we cannot see or understand but a faith demonstrated by results. To illustrate the growth of the kingdom of God, Jesus tells two little stories, two parables, one about growing seed, the other about a mustard seed. The growth of God’s kingdom is mysterious. The growth of God’s kingdom is momentous. The growth of God’s kingdom is miraculous. When Jesus says of the sower, “he does not know how” (4:27), he reminds us that the mystery of the origin of life, physical and spiritual, is beyond our knowledge. We are fearfully and wonderfully made. We live by trust not explanations. They say knowledge is power but for many it is also about manipulation and control. Psychology, for example, is the science of the prediction and control of human behavior. B.F. Skinner developed the theory of classical conditioning to explain the development of personality and the motives for action. He took his theory one step further in his novel, Walden Two, in which he imagines a perfect society in which human behavior is not only explained but controlled. Skinner was not wrong in searching for an explanation for human behavior. But he entered the world of fiction when he assumed he could close the circle of knowledge and predict and therefore control human behaviour. He failed just like every other attempt at eugenics or social engineering. Jesus insists there is mystery and majesty built into creation that should lead us to wonder and to worship. The growth of God’s kingdom is mysterious, so don’t be anxious. God is in control. 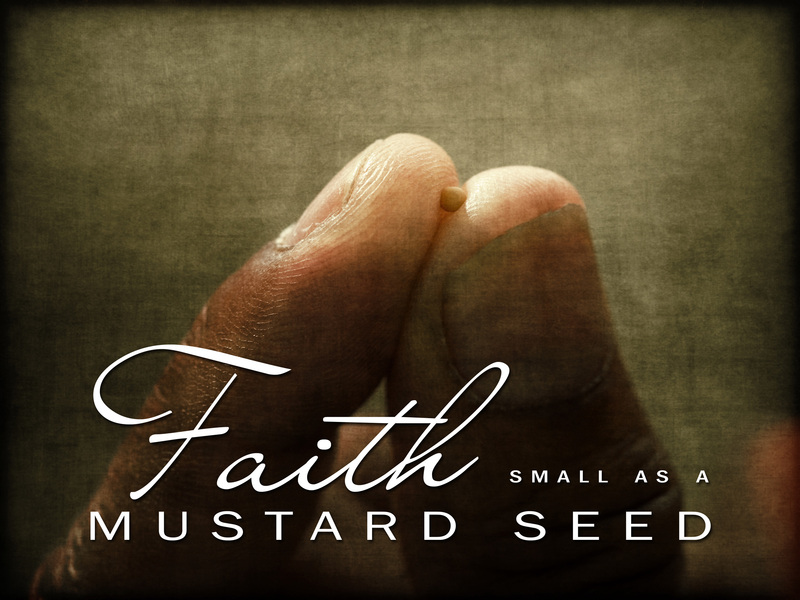 Jesus uses the mustard seed to illustrate a second profound truth. Don’t underestimate the power of a seed. Don’t despise that which is small and seemingly insignificant. A mustard seed can grow into a bush and provide shade for birds. Just give it time. Go to a clergy conference and pretty soon you will find clergy comparing the size of their congregations, their staff or budgets. In a world that rates everything by size, Jesus is embarrassing. Take a seed in your hand, any seed and examine it closely. Does it show any sign of life? Any sign of movement? No. To all intents it is dead. It maybe indeed be hundreds of years old and yet, and yet, plant it in good soil, water it and leave it to germinate and “all by itself” as Jesus observes, “the soil produces grain. We are increasingly victims of a culture that demands instant answers, instant foods, instant relief. Jesus slows us down when he describes the process of growth, “first the stalk, then the head, then the full kernel…” (Mark 4:28). He reminds us we cannot short circuit God’s timing. Humbling as it may be, God has only commissioned us to sow the seed by sharing our knowledge of Jesus with other people. The results, the harvest of new souls and transformed lives, is the work of God, mysterious, momentous, miraculous. That is why I don’t count attendance figures or conversions any more – Because I know that if there are many I will become proud. If there are few I will become depressed. I don’t count because kingdom growth is not a result of human efforts. Success in witnessing is sharing Christ in the power of the Holy Spirit leaving the results to God. It is a very humbling but reassuring principle that we can never talk anyone into the Kingdom of God. So lets thank God and lets cultivate an umbrella faith.